Kalymnos and its sponge divers. Down into the depths of Aegean sea. HomeMiscellaneous Kalymnos, rock climbing and sponges. Kalymnos, rock climbing and sponges. When I publish an article on this site, it is rare that I write something which is not closely related to the Dolomites and if I do so it is because I believe that the subject may be of interest to reader climbers. Kalymnos is one of 12 islands in the Dodecanese in the Eastern Aegean just 20 km from the Turkish coast and well-known to climbers from all over the world (it hosts around 10,000 climbers per year) who come for its fantastic crags, wonderful sea, excellent cuisine cooked up at Masouri’s various restaurants and, last but not least, its truly affordable prices. Before the climbers arrived Kalymnos was famous worldwide as the ‘sponge island’. Until a few decades ago the livelihoods of the locals were closely bound up with the sea and whilst today climbing has certainly boosted the island’s economy, once it was sponge fishing which constituted the main source of income for the majority of Kalymnos’s families. Prior to the climbing boom the island’s bare rocks were looked at unfavourably by local people who today express themselves thus: “When God created the earth he just flung a few rocks in the direction of Kalymnos. It is difficult to believe that what we once saw as a curse is now a blessing”. The bulk of the happy, carefree climbers who now enjoy Kalymnos’s beauties probably do not know how hard life was for the sponge fishermen and it is for this reason that, on returning from a trip to the island, I thought it might be interesting to write this post. The lives of the sponge divers, Kalymnos’s soft gold. 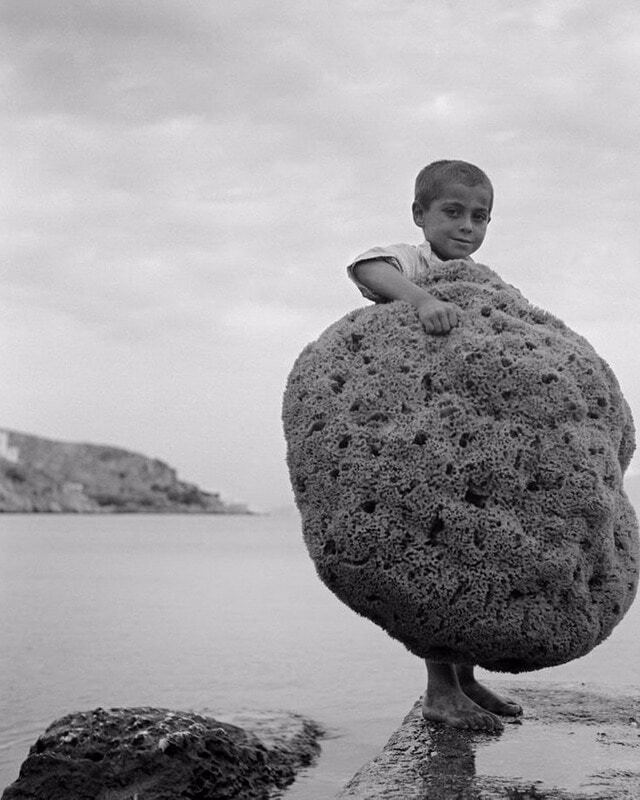 «On the Greek island of Kalymnos, divers harvest natural sponges from the seabed. It is certainly not the easiest, or the safest, job around, so why do it? A man stands on the shore looking out over the vast Aegean Sea. He is still captivated by it even after all this time. Down in its depths, however, lies the thing that really draws him to it. Diving for sponges is all he knows and the idea of stopping has never entered his mind. Despite all the misfortune, all the cruel blows of fate. Pantelis Georgantis (41) is standing at the harbor in Pothia, telling us about Nikolaos, his dead brother, who was lost out in the Aegean. 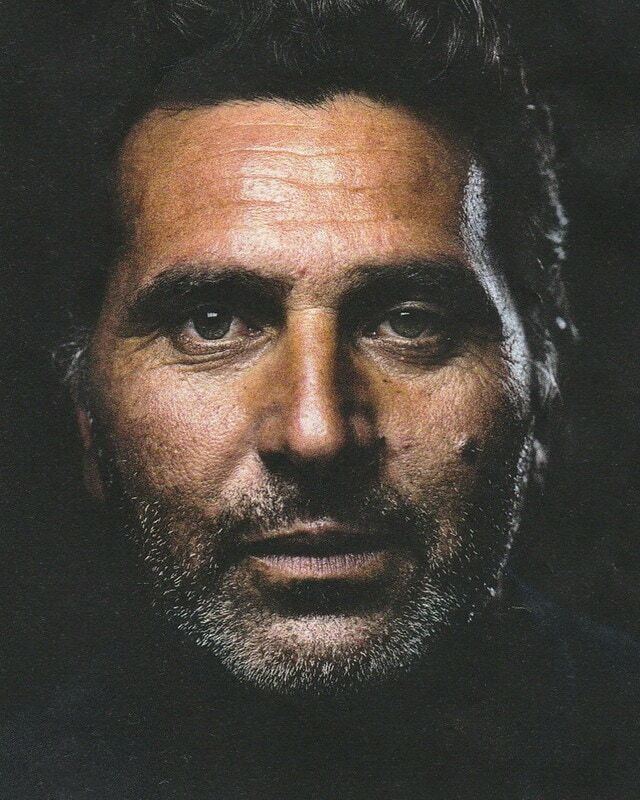 He then tells us the story of his own misfortune when he was diving down at depths of 50, perhaps even 60 meters and came back up to the surface too quickly without taking time to decompress. Gas bubbles formed in his body, which caused decompression sickness. Kalymnos, the home of the sponge divers, is one of the 12 Dodecanese Islands in the eastern Aegean, just 20km from the coast of Turkey. It’s home to charming, romantic villages, such as Masouri, in the west of the island, with the wonderful Aegean Tavern. Those sitting out on the terrace of this local bar are treated to a view of the sun setting behind the island of Telendos, a picture-postcard-perfect Mediterranean scene. The rest of Kalymnos, however, is mostly characterized by rocks, cliffs and barren wastelands, as well as a harsh reality that the local population have faced for millennia. Farming yielded tittle, meaning the people were left with just fishing and sponge diving to make a living. 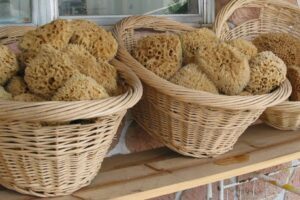 Even in ancient times, figures such as Plato and Homer wrote about the sponge as an important hygienic tool during bathing. Over the years, the world center of sponge harvesting was established here on Kalymnos. In the mid-20th century, the golden era of the sponge diver, thousands of men would head out to sea every spring from Sicily and Cyprus all the way to Libya. They used to spend weeks, sometimes months, with up to 20 men huddled together 10m-long boats known as kaikis. To keep themselves going they would take potatoes, beans and salted meat out with them. Some years Kalymnian divers collected up to a million sponges, which were then exported across the globe for bathrooms, the ceramic industry and porcelain polishing. Although it was a fruitful profession, it was also horrendously dangerous. 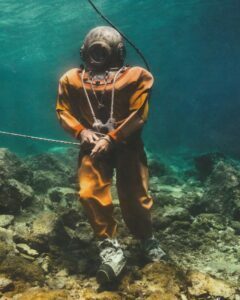 Divers would go down to depths of 90m before quickly coming back up to the surface equipped with just rudimentary sewn-together diving suits, which, if you saw them today, would probably make you think you’d been transported into one of Jules Verne’s underwater novels. Many, like Georgantis years later, suffered decompression sickness and many died. For others, their bodies simply gave out in the depths as a result of the immense physical exertion, while some were injured by stingrays or even attacked by sharks. On Kalymnos they say there is hardly a family who has not suffered some kind of tragedy from sponge diving and, in the past, when healthy men were out on the seas in the summer months, you would only ever see three groups of people on land: children, cripples and widows. As the years passed, however, the profession became less and less important. There was a huge decrease in demand as the competition from synthetic products overwhelmed the market and, after decades of extensive fishing, there were few areas left on the seabed still rich in sponges anyway. Nowadays there are around 80 sponge divers on Kalymnos who are still active, and the islanders continue to follow the old custom every spring of organizing a large send-off for the divers as they embark on their yearly harvest – “the festival of love”. The highlight is the mihanikos – a traditional dance in which the dancers hobble around using a stick to depict the sponge divers with their lame legs, just like Pantelis Georgantis. Fear, according to Georgantis, is not something that he ever feels and, even if that were not true, he still has to feed his family. He named his kaiki Nikolaos, after his late brother. As long as he is still able to go out and dive and it is just the one leg that does not work, Pantelis Georgantis will keep heading out onto the seas year after year. Read more about sponge divers: Kalymnos Sponge Diving. Do you want to come climb with me to Kalymnos? “Climb Kalymnos“!